Does your office building feel like it’s missing something? You have the reception and lobby area, desks for all your employees — even the elevator leading up to your floor has its character. And yet, something is missing to tie it all together. If you have an area that multiple people gather in or near quite a bit, consider adding a printed wall mural! 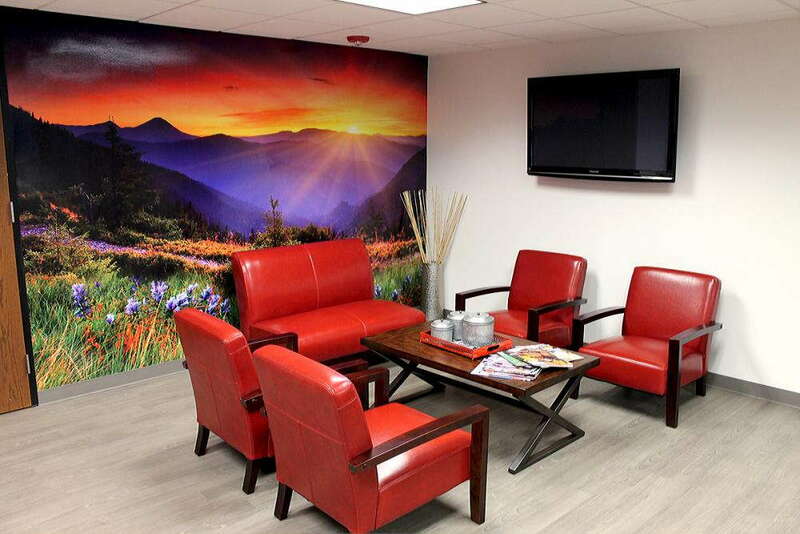 Whether dominating in size or just acting as a comfort piece, a wall mural in your office will excite your customers and motivate your team of employees. 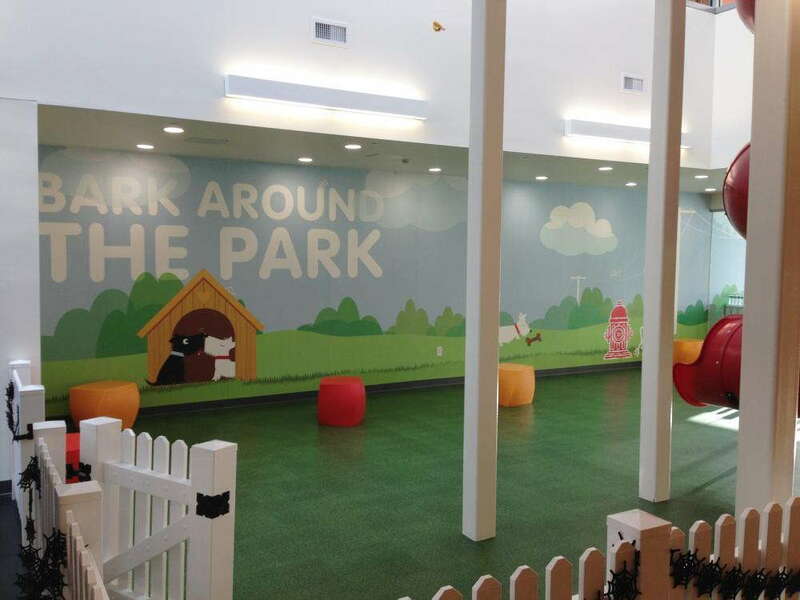 SpeedPro Imaging Tampa Westchase will work with you one-on-one to identify which elements of your brand to display on the wall mural for your business. We can determine what needs to be presented as well as where it should be located. Reach out to our team today to get started in completing the look of your office! The first step in crafting your personalized wall mural is to decide where it will be placed in your office. This decision determines size, image and brand representation. Your decorated branding piece may be different if you’re trying to connect with your customers versus connecting with your team. Let’s focus on the customers. Maybe you need something when they first walk in to truly center their attention and make them feel welcome. If your lobby or waiting area has a blank space on the wall, it’s the perfect spot! Identifying an image or design that speaks to your customers as they wait for service is critical. Maybe you want to liven up the area everyone walks through. There’s nothing truly spectacular about this hallway or room, but it sees a lot of foot traffic, and you want a graphic visual to make it feel alive and more welcoming. Planting a vinyl wall mural here will allow our bright and vivid inks to speak for themselves, creating an exciting atmosphere for anyone who walks nearby. In some cases, you may not need to add anything to interact with your customers. Instead, you may need to focus more on your employees. Have you noticed their work ethic has been subpar? Or that there’s a general feeling of laziness or boredom? You can fix that with our printed wall murals! Identify how big your conference room or kitchen area is, and we’ll get to work. We can create a graphic that embodies your brand and displays the elements of your business you want to promote every day. Or we can highlight an important motto, saying or mission statement that will give your employees the focus and drive they need to complete their work to the best satisfaction possible. Sometimes, all you need to do is re-center yourself throughout the workday by lifting spirits with a positive environment! 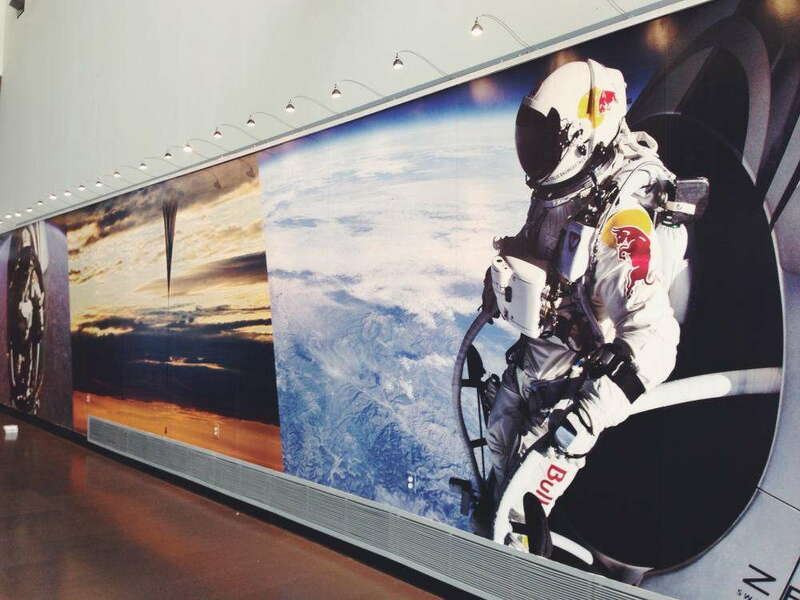 If you’re looking for a long-term investment to help excite people in your work area, large format wall murals are the way to go! We provide a range of adhesives, but most of these will allow your vinyl wall mural to stay planted for up to seven years. The more durable the graphic, the more the message can resonate. Contact our studio today to add a new dimension to your office. Our seven years of experience will allow us to determine what you need and how you need it represented. Let’s get started with a consultation!